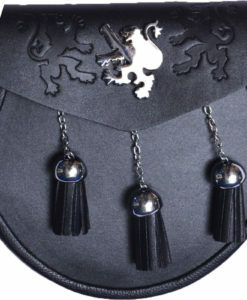 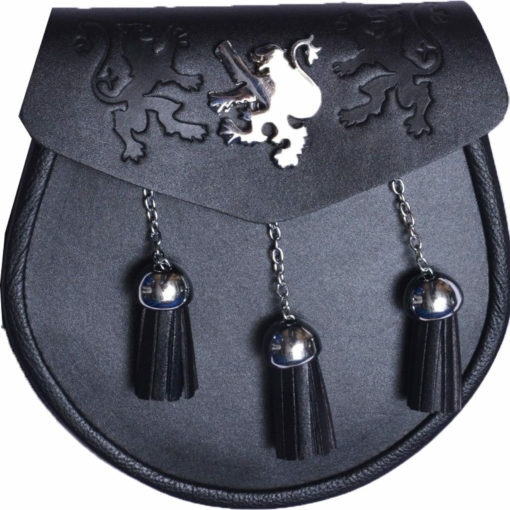 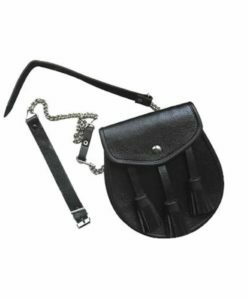 3 Tassel Black Leather Sporran is manufactured using 100% Genuine leather. 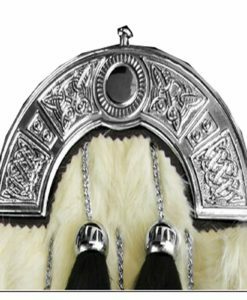 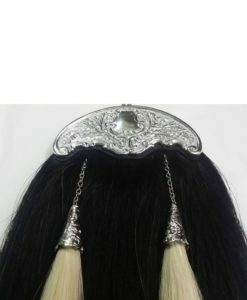 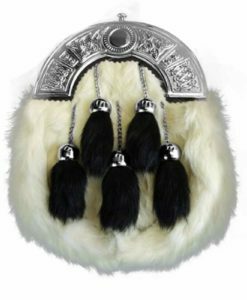 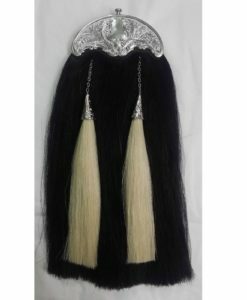 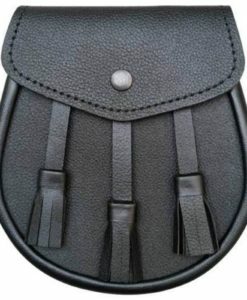 The chrome material horse posture is used on the center of the Sporran with some similar styles crafted on the flap with leather. 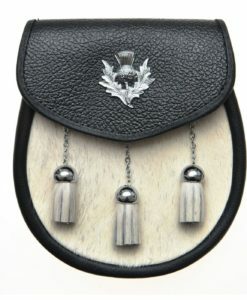 It is amazing designed and has great details. 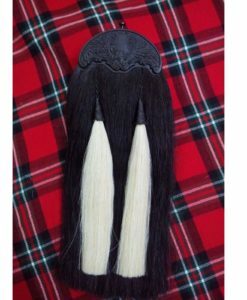 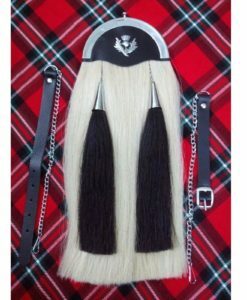 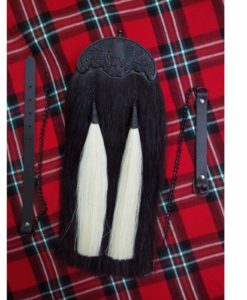 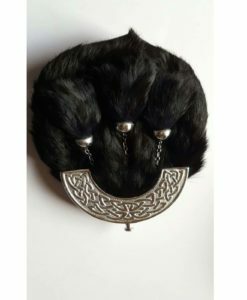 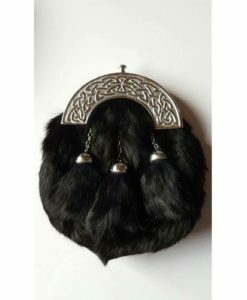 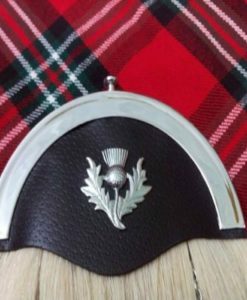 This Black leather sporran can go with any dark or light color kilt and looks perfectly amazing.